We’re preparing for next year's Conference in Orlando, Florida, and we want you to be involved! If you're an industry professional interested in sharing fundamental knowledge and skills with our attendees, we want to hear from you. If you would like to submit your idea and present at the NNA 2015 Conference, please fill out this presenter application and send completed forms to conference@nationalnotary.org. Please include your full name along with “Presenter Application” in the subject line. Should you have more than one idea for consideration, create a second application and only complete fields 15 through 20. All presenters chosen will receive travel reimbursement and lodging in accordance with the terms of the NNA’s speaker agreement. The deadline to submit your NNA 2015 Conference Presenter Application is October 31, 2014. In other NNA 2015 news, early bird registration is now available! 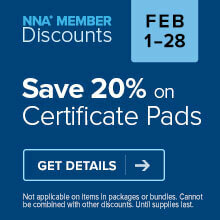 NNA members are also eligible for an installment plan of $99 down and four additional monthly payments of $100. Once registered, reserve your room at the Hilton Orlando Bonnet Creek hotel for discounted room rates. The 'Zen' of operating your business in a reduced loan signing environment. Thanks for the suggestion, Howard! Looking forward to having you back at NNA 2015. Technology and the Mobile Notary: Smartphones, Scanners, and Printers, Oh My! It cost 499.00 to attend??????? Hi Ann! Yes, the "Early Bird" price to attend our 2015 conference is $499 for NNA Members. To help offset the cost of attending our conference, we've introduced an installment plan. This plan allows you to pay a down payment of $99, and 4 additional monthly payments of $100 to cover the cost of full conference registration. NNA membership is required to be eligible for the installment plan. 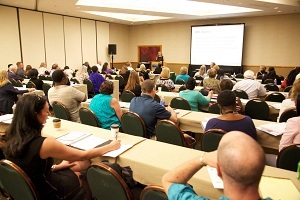 To register and choose to sign up for the installment plan, please visit: http://www.nationalnotary.org/conference. You can also contact one of our Customer Care Professionals at 1-800-876-6827. We hope this helps!